Rain gutters are among the critical elements for the protection of your property’s structural integrity. If you neglect the maintenance of your property’s gutters, however, they will become the primary source of water damage to your building’s walls and foundation. The key element in gutter maintenance is to keep them debris-free. If this seems like an impossible feat, it doesn’t have to be with option you have at your disposal in Wisconsin, such as the products and services your trusted rain gutter installer offers. One of these products is a gutter screen, also called a gutter guard, which prevents the accumulation of debris. Note, too that there are many types you could choose from. Here are the options you have if you opt to buy a gutter screen. These have an upward incline and curve that allow the smooth sliding of debris to the ground instead of remaining stuck in your gutters. The slope and curvature will also enable the smooth flow of rainwater into your drainage system. Reverse curve screens are attached to the roof’s edge and look like a second gutter system. Some of its cons, though, include the need for professional installation (which means it might cost more) as well as reducing curb appeal since it can be seen from the ground. These stainless steel screens have tiny holes throughout their length. The holes allow smooth water flow into your gutters and filter out debris. It is more effective on flat roofs. If not, most installers will recommend a slightly slanting micro mesh screen to minimize the risk of buildup of rubbish on the screen. The screens fit snug with your gutters and are not visible from the ground, allowing your curb appeal to remain intact. A disadvantage of this type of gutter guard is that it needs maintenance one or twice a year. These resemble a wire cleaning brush. Bottlebrush gutter screens are easy to clean and install and are inside your gutters. The spikes’ design trap debris while allowing free air distribution and unhindered water flow. The free airflow minimizes the chances of rust development in your gutters. Like the previous type of gutter screen, bottlebrush guards are also vulnerable to buildup of leaves. But instead of on top of the gutters, the leaves get stuck inside them, calling for more complicated routine maintenance. There are different fastening options for the above gutter screens. Sheet metal screws, for instance, are the best choice in places that experience very strong winds. 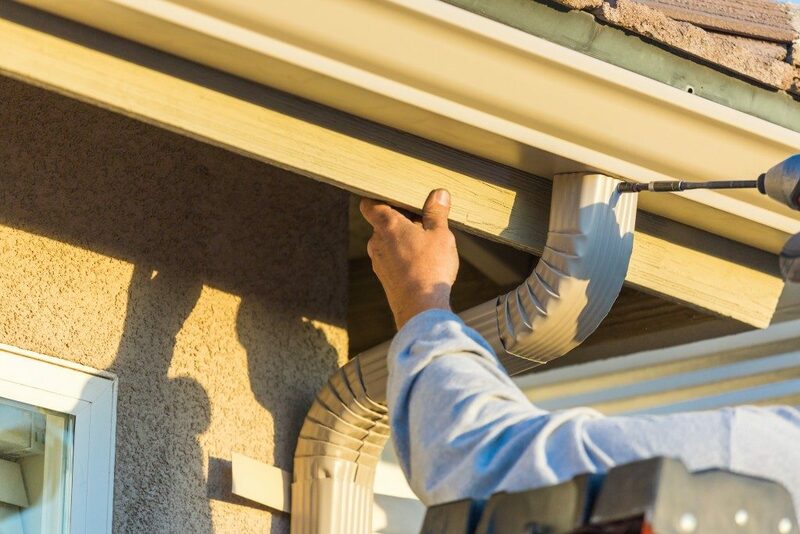 Your installer is well-placed to assess your area’s conditions and pick the best option for installing the rain gutter screen of your choice. To keep your home free from water damage caused by rainwater and other weather factors, it is ideal to take preventive measures. One of your options is rain gutters and gutter guards. It is not enough, however, to choose just any gutter screen you come across. You should assess their pros and cons, too.